God has made a show out of openly triumphing over principalities and powers. I was watching the Tennessee Titans. They were playing the Carolina Panthers. Cam Newton, Our Brother, that great quarterback of the Panthers was responsible for yet another touchdown as the Panthers were openly triumphing and making a show of my beloved Titans. Then Brother Newton punctuated a touchdown score with a dance. A dance that was totally in line with his personality. And a few of the Titans were upset. They let him know it. I must admin that I wasn’t feelin too good about it either. It made the sting feel a bit worse than it would have felt. After the game. Folks were saying that Cam shouldn’t have danced so long. He shouldn’t have celebrated the touchdown like he did. In fact, some said he was a bad role model for the kids. Cam’s response was something like this, “If you don’t want me to dance, then you shouldn’t have let me in the end zone. As preachers, we come to the preaching moment to preach about a powerful God who manifests Godsself even in this sinful world. We preach powerful sermons to remind ourselves about this God. Some whoop…Some don’t. Some shout…some don’t. Some stand there flat footed and some have to dance. I ain’t gonna tell you how to celebrate. Cause when the good news hits you. You show it in the way that you show it. But at the end of the day…You ain’t gonna stop me from celebrating God’s making a public show of his triumphing over evil. What does that mean for us preachers? It means that there is something powerful about genuine emotion celebrating the good news of the Gospel that was just presented. 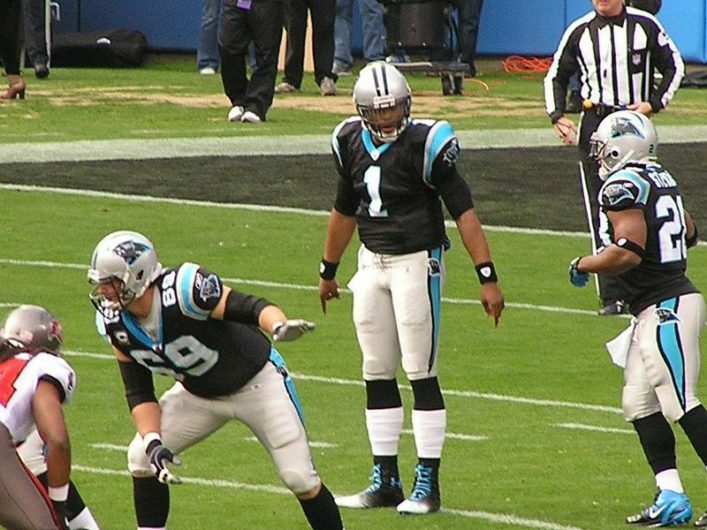 I thought again about why I was upset when Cam Newton danced. I was upset because Cam Newton wasn’t on my team. He was celebrating my defeat. When God makes a public showing of the defeat of sin. I get happy…Cause we are on God’s team. I get happy cause God is doing it for us. Be you yall. Let God use YOU. Let God preach through YOU. Yep…this here is a key component of my homiletic. Check it out at http://www.superchargeyoursermons.net.